Tuesday, 27th May 2014. Management House, Dublin Institute of Technology, Aungier Street, Dublin 2. The seminar consisted of presentations from Professor Richard Layte (ESRI) and Dr. Sara Burke (Journalist and Policy Analyst), followed by questions and debate. The seminar included two presentations followed, by a questions and answers session. The first from Professor Richard Layte (ESRI) presented evidence on child health outcomes in Ireland drawing on the finding of two recent research papers entitled Socioeconomic Inequalities in Child Health in Ireland' and Income-Related Inequity in the Use of GP Services: A Comparison of Ireland and Scotland. The slides from his presentation are available here.The second presentation, from Sara Burke (journalist, broadcaster & policy analyst), reviewed the current policy proposals for free GP care for under-6s and examine the context and challenges associated with its adoption. The slides from her presentation are available here. Tuesday, 20th November 2012. Management House, Dublin Institute of Technology, Aungier Street, Dublin 2. The seminar consisted of a presentation from Dr. Micheál Collins (Trinity College), Dr. Bernadette MacMhaon (Vincentian Partnership for Social Justice) and Grainne Weld (also of the VPSJ), followed by questions and debate. The slides from the presentation are available here. 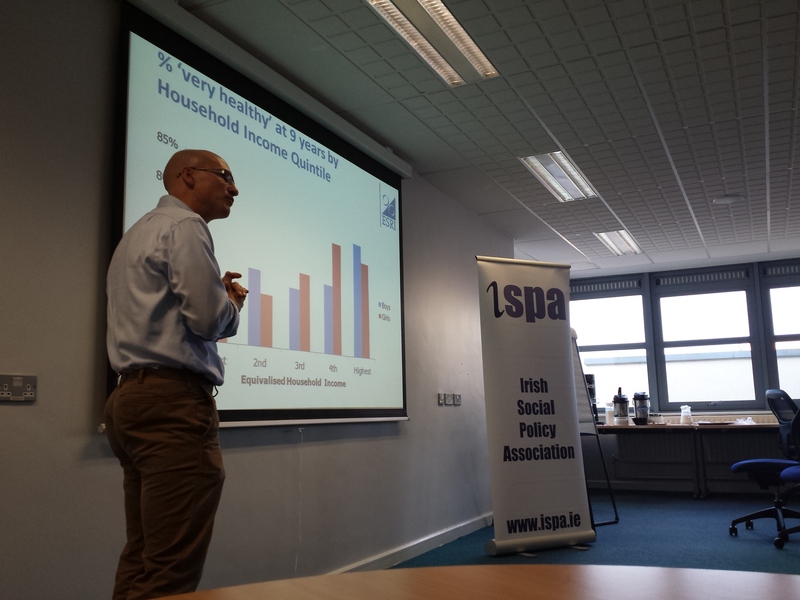 The seminar drew on the research of the Vincentian Partnership published by Trinity College’s Policy Institute (A Minimum Income Standard for Ireland) and offered a detailed analysis of the income families of different types require to meet basic needs. The research offers a unique perspective on the implications of budgetary decisions for families – especially low-income families in Ireland today.